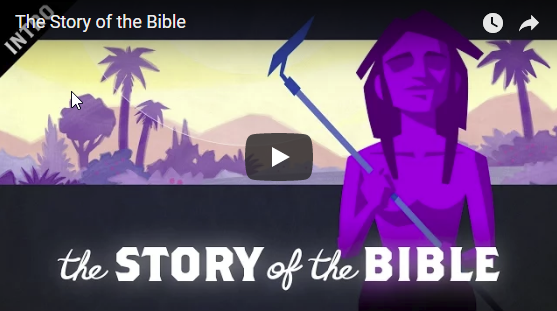 The Story of the Bible – Share Him Today! The Story of the Bible. Bible is the Word of God, it contains the revealed will of God. It reveals where we come from, where are we going, what is God’s plan for us. It the story of how God wanted to have a family and how His children rebelled against Him and went their own way and to what extent God goes to redeem them back and restore His family. It contains the story of how passionately God loves us, His children and that He can do anything even die for them to give them life and have them back. God creates Adam and Eve and gives them a perfect garden to stay in, but Adam and Even choose to live on their own by depending on the knowledge of good and evil, rather than on God and His Spirit. They rebel against God and fall into sin and death. God was losing His Son and daughter to death, He could not bear that and so finds a way to restore Adam and Eve back to Himself. He makes every attempt throughout history to be with man as close as possible, so that man will be protected and safe. According to His divine plan He ultimately sends His own son to be the ultimate sacrifice which will permanently restore man back to God. God accomplishes His plan through Jesus, His Son and now the way is clear for man to come back to God, His Father and be at rest. Through Jesus God has gained back His family which He lost in the garden of Eden. That is the story of the Bible. It is good news for God and for us too. That’s the reason its called Gospel-The Good News. Watch this video and be blessed! This is episode 2 of an ongoing series called How to Read the Bible that explores the origins, content, and purpose of the Bible. In this video we summarize the overall story of the Bible as a series of crossroad decisions. All humanity, followed by the Israelites, redefine good and evil and end up in Babylon. They are followed by Jesus, who takes a different path that opens up the way to a new creation.